The Los Angeles trio's music is heavily electronic, of course, featuring the kind of beats, breaks and computer-age tones that keep rave clubs palpitating worldwide. 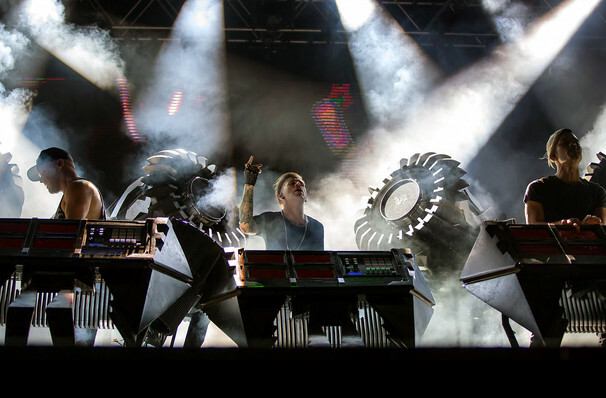 Why See The Glitch Mob? Boreta, edIT and Ooah are dusting off their laptops, midi controllers and assorted hardware for their forthcoming international tour to support the hotly anticipated 2018 release of fifth album See Without Eyes. The LA-based trio made a name for themselves as forerunners of the city's hip-hop infused IDM wave in the late 2000s, filling dance floors with their heady blend of heavy break beat grooves, filthy synth bass lines, mega drops and the glitched out sound effects of their namesake. The Glitch Mob pride themselves on producing a sweeping, cinematic sound that carries the listener through a sci-fi-esque narrative. While their trademark may be epic in scope, the outfit stays true to their grand vision with theatrical live shows that are more than just pre-recorded backing tracks and miming. Performing in unison and weaving their killer tunes with retina-burning light shows, these DJs are the real deal. Sound good to you? 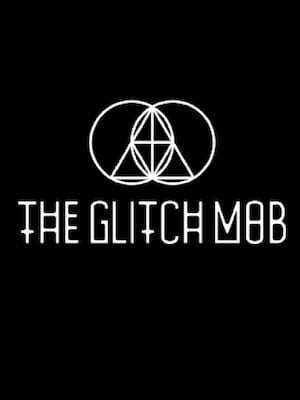 Share this page on social media and let your friends know about The Glitch Mob at The Van Buren. Please note: The term The Van Buren and/or The Glitch Mob as well as all associated graphics, logos, and/or other trademarks, tradenames or copyrights are the property of the The Van Buren and/or The Glitch Mob and are used herein for factual descriptive purposes only. We are in no way associated with or authorized by the The Van Buren and/or The Glitch Mob and neither that entity nor any of its affiliates have licensed or endorsed us to sell tickets, goods and or services in conjunction with their events.